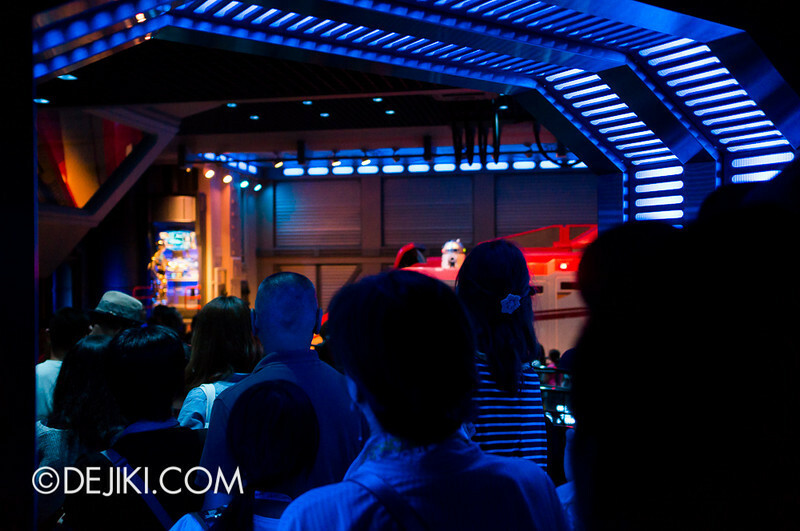 Tokyo Disneyland’s latest attraction is the heavily upgraded version of Star Tours, known as Star Tours: The Adventures Continue. 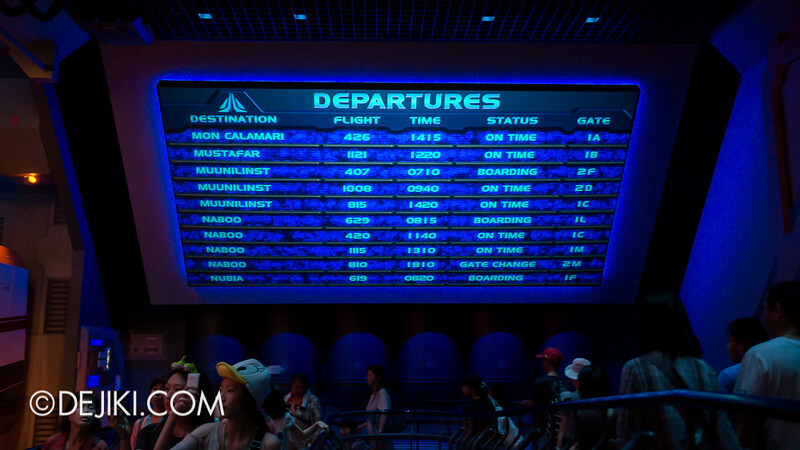 This Spaceport brings guests at Tomorrowland on tours to exciting destinations – far, far away – in the Star Wars universe. 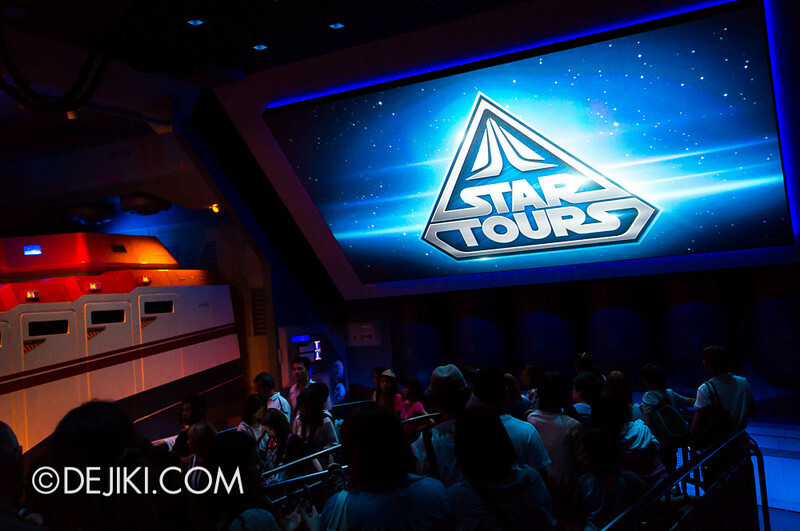 As the titles suggest, this is a Star Wars themed attraction. 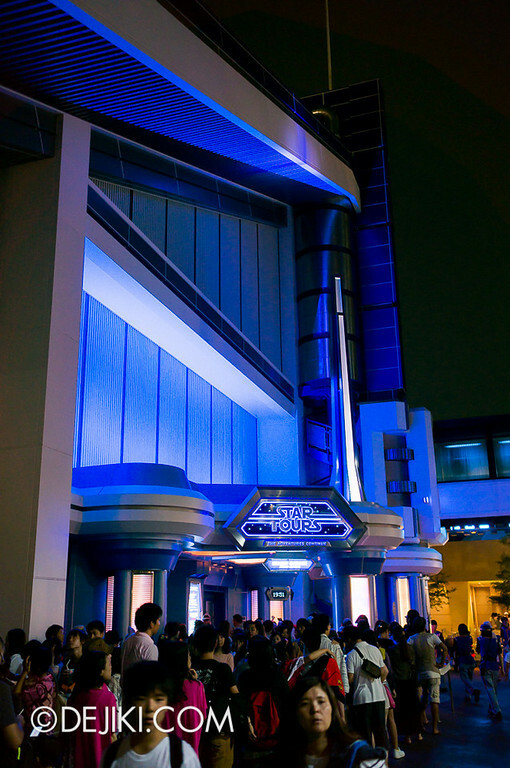 This new version of Star Tours is set between the two Star Wars trilogy, thus it is referred as “Episode 3.5” by some fans. 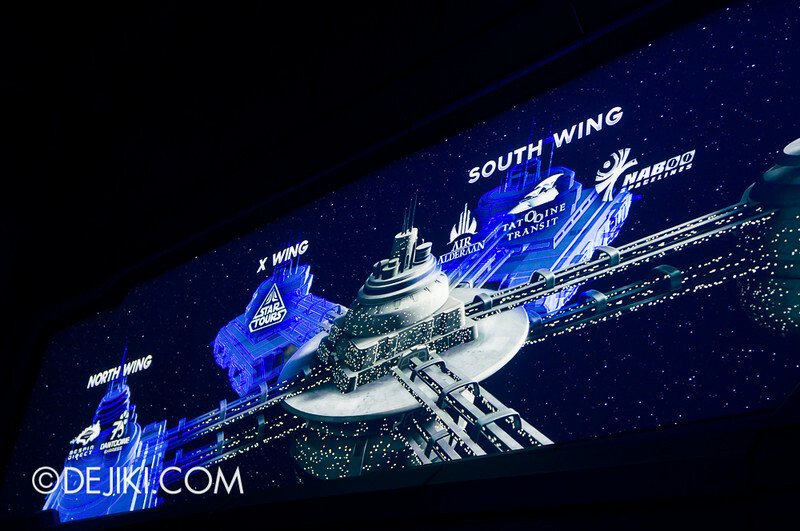 The ride, with latest 3D projection and motion base technologies, brings guests on a high-octane journey through various iconic destinations, such as Hoth, Tatooine, Coruscant, Naboo and even the Death Star. 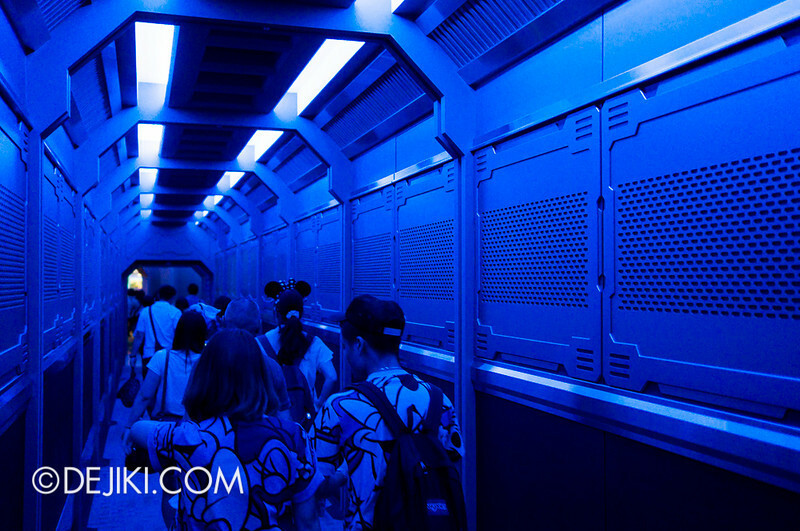 What makes this attraction interesting is that the ride randomly picks destinations, such that every adventure has a slightly different experience. Notable characters from Star Wars, such as Darth Vader, Yoda and Princess Leia, can be met as well (via random pick). 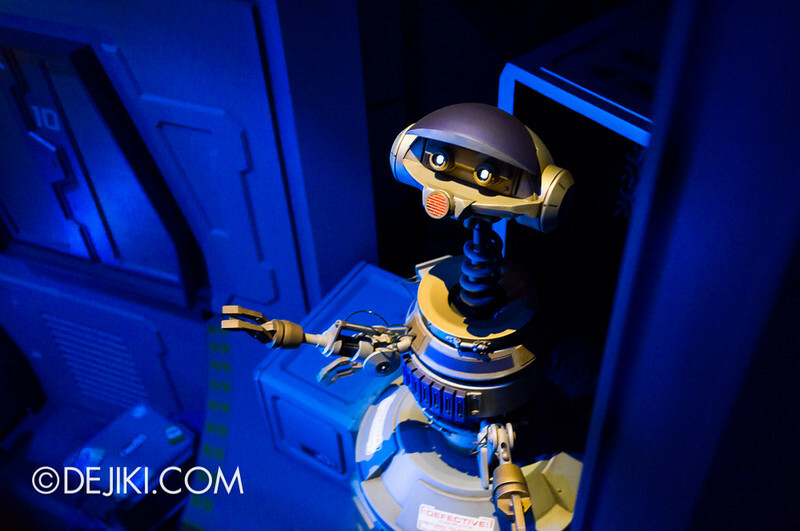 In all, 54 different combinations of the ride experience exist. 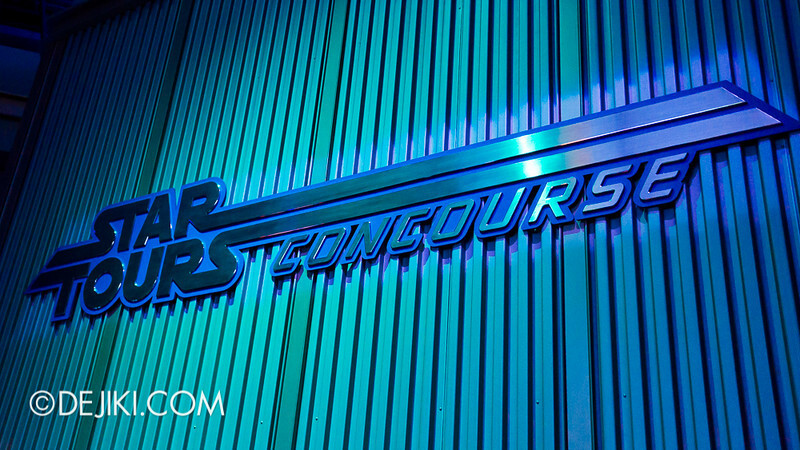 We picked Star Tours as our third Fastpass of the day. 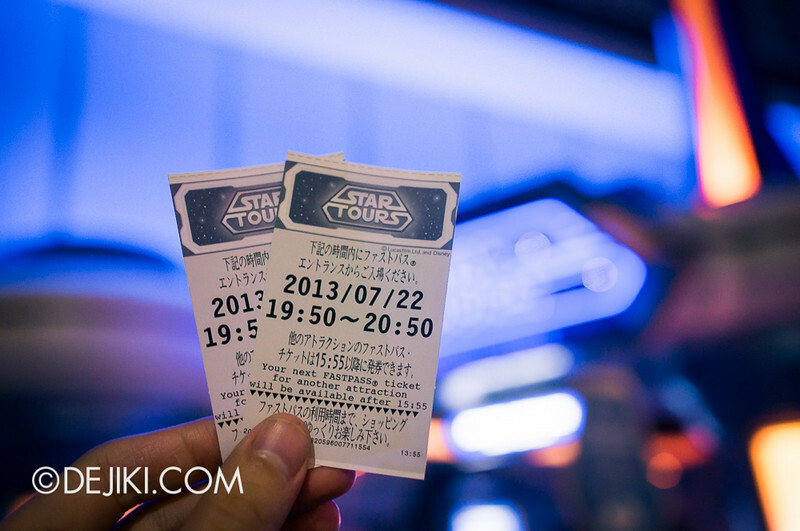 It didn’t run out as fast, so we were able to get the 7:50PM passes even when it’s almost 2PM. 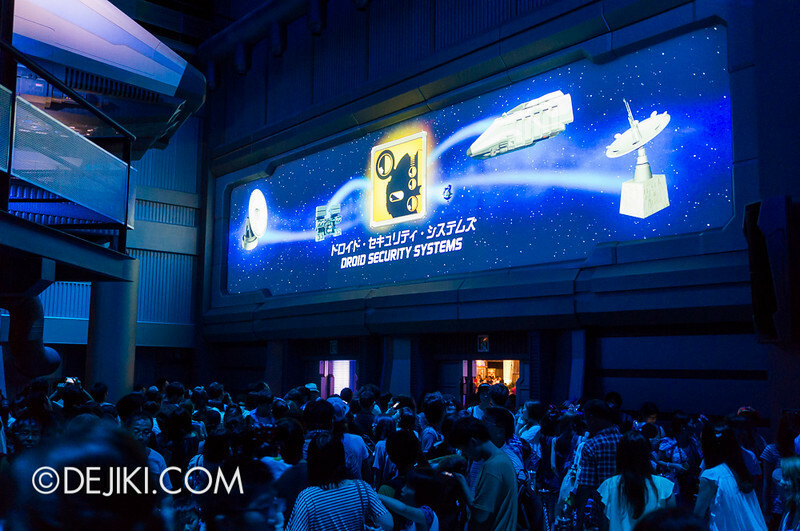 Exclusive to Tokyo Disneyland is the Star Tours Concourse, where a majestic billboard displays corporate videos and adverts for many travel destinations. See the chain of signs dangling from the ceiling? 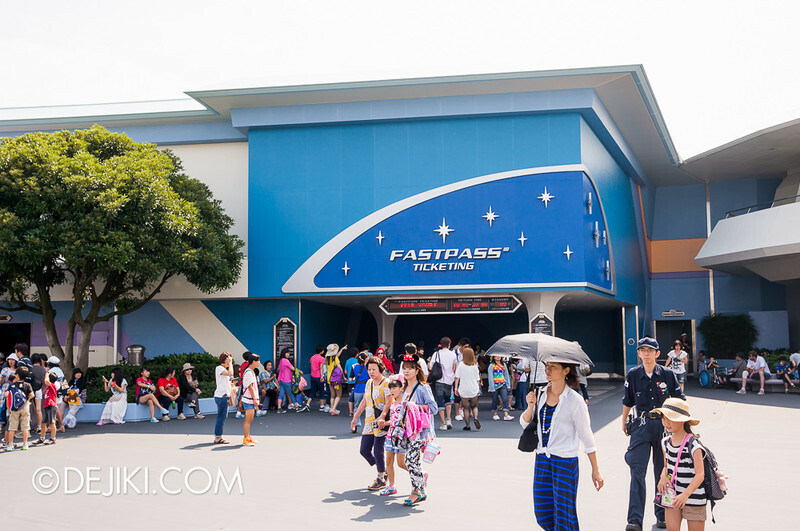 That’s the Fastpass merge point. 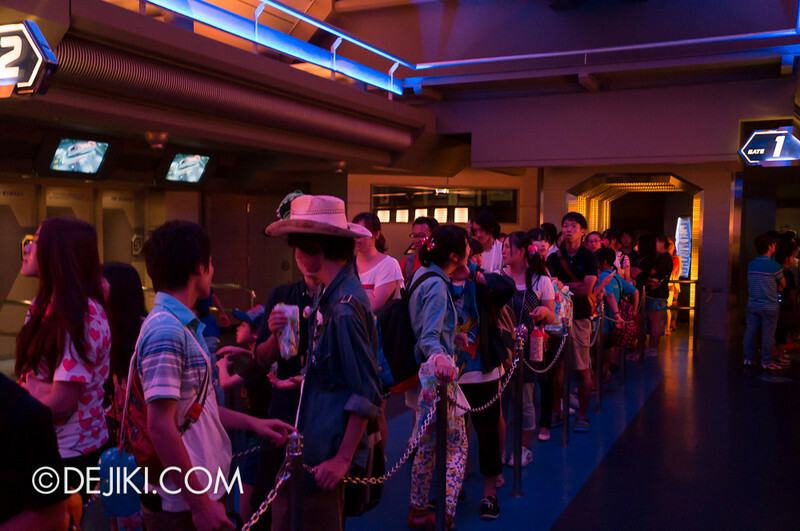 While this queue area isn’t exactly huge, the high allocation of capacity for Fastpass means that the Standby moves really, really slowly. 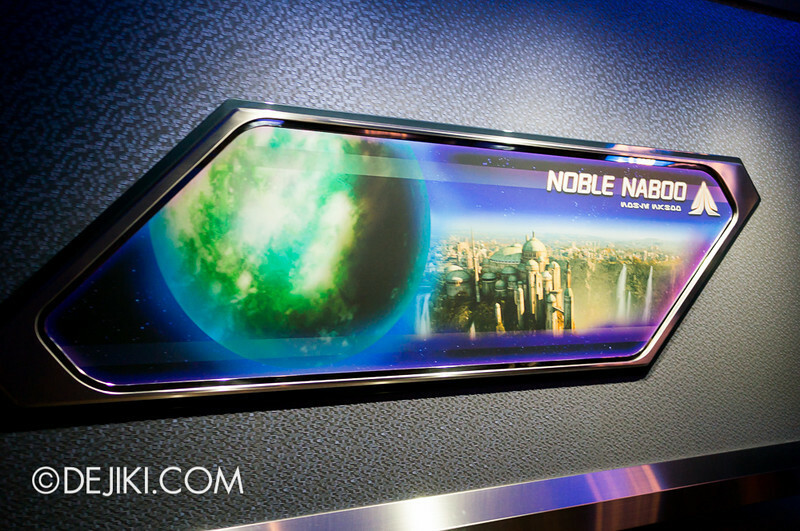 That’s why the screen is here to entertain guests and immerse them into the ride’s story. It’s actually quite amusing – especially if you’ve watched Star Wars. 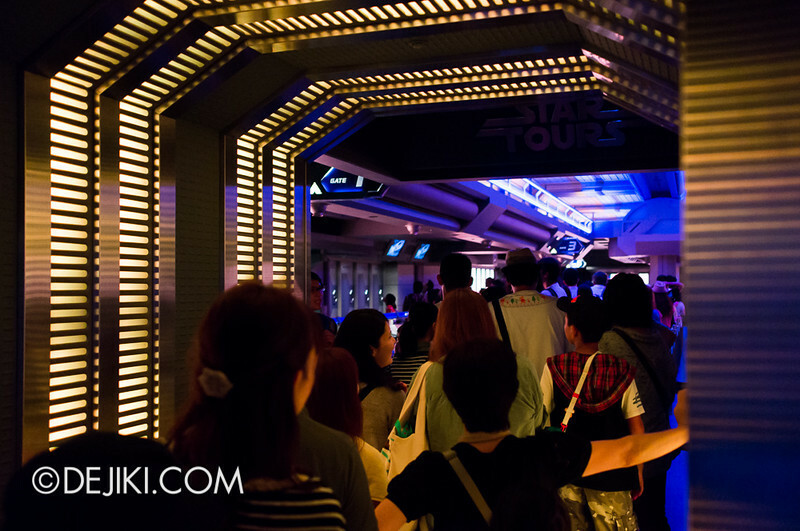 And… if you are Star Wars fan, you’ll never want to leave. 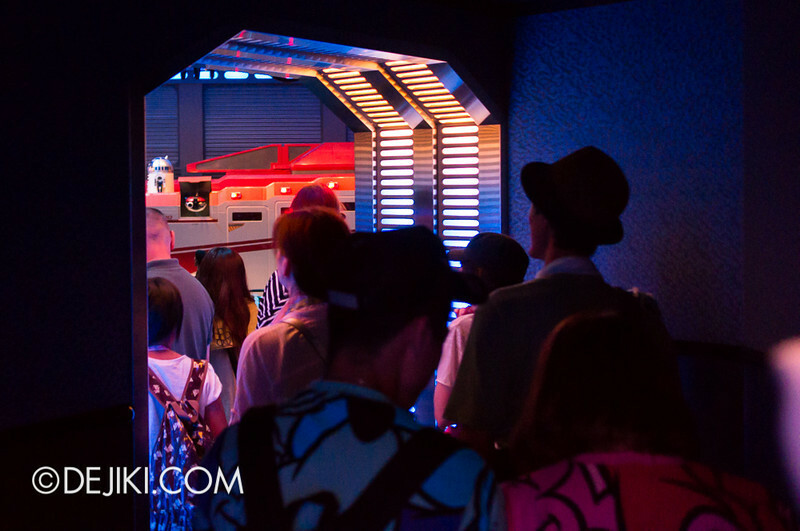 After the merge, the line moves very briskly through several areas of the Spaceport. Doesn’t this feel legitimate? Haha. 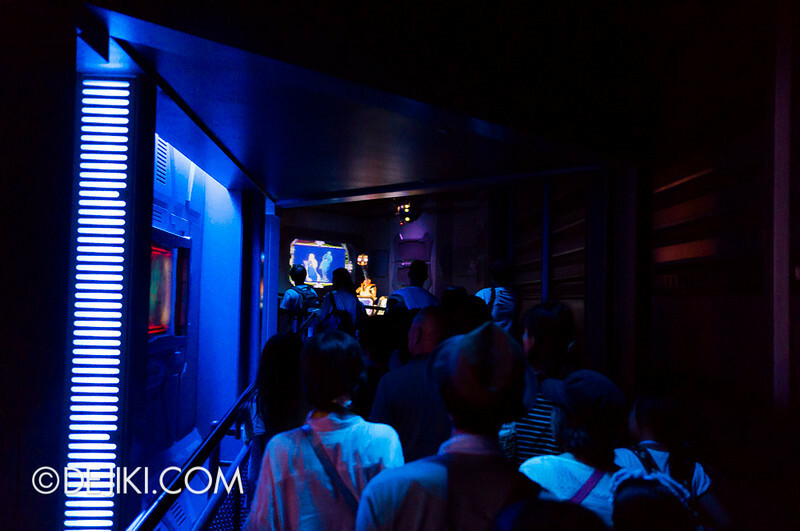 Even the little control room at the corner (which is easily missable when the queue moves quickly) has animatronics and effects. StarSpeeder 1000. Also not a static prop! 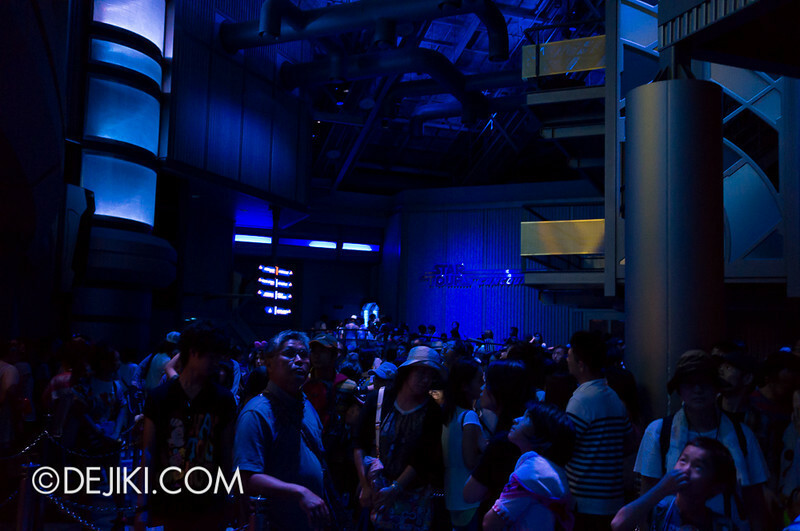 There are some smoke effects and C-3PO and R2-D2 animatronics add to the pre-show experience. 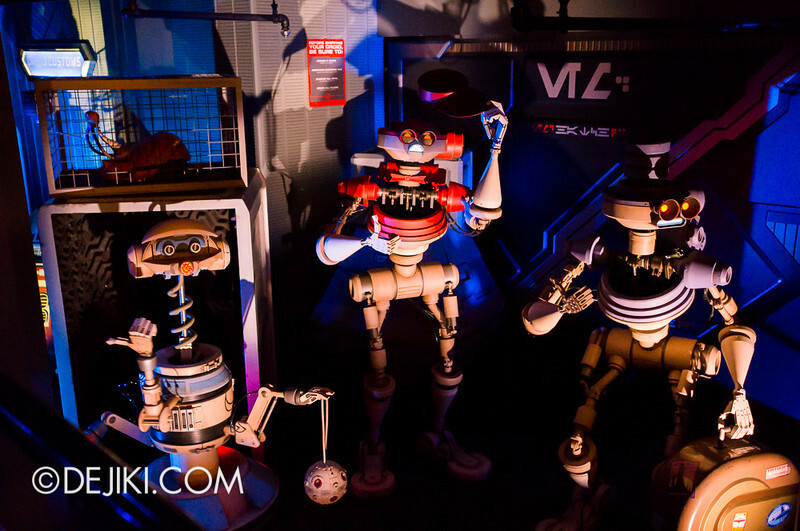 The Cargo/Customs area has a very entertaining robot that scans luggage. Apart from an excellent effect simulating an X-Ray, there are humourous items seen here: Even a Wall-E. The queue slowly ascends, and we have another robot (I guess immigration). Before this there is a window where silhouettes of other people and creatures can be seen. Finally, we’re at the boarding area. It’s pretty large, and rather impressive in terms of queue management. 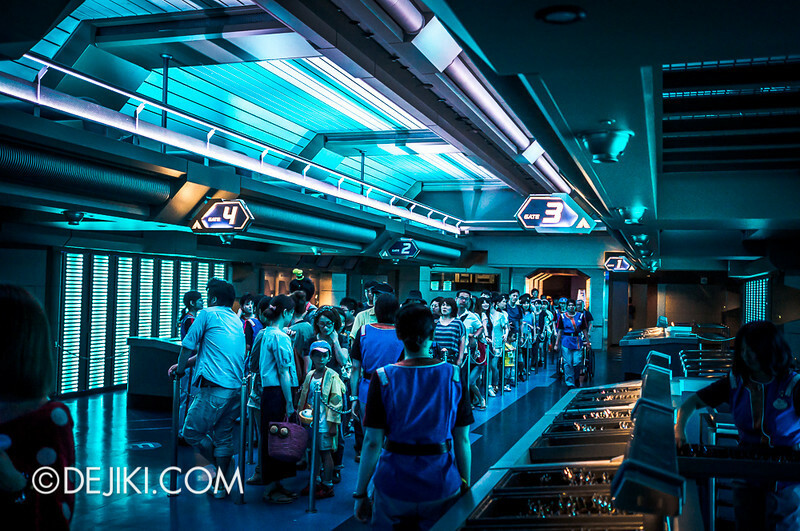 The entire hall is divided into six areas, one for each ride system. All of them work independently, so if one breaks down, the other five could still be used. Cast Members here seem to have a very efficient technique to handle large crowds. I’ve seen the switchbacks being opened and closed on the fly, and people are effectively divided into different gates. The lighting in the area occasionally changes. Overall, very pretty. 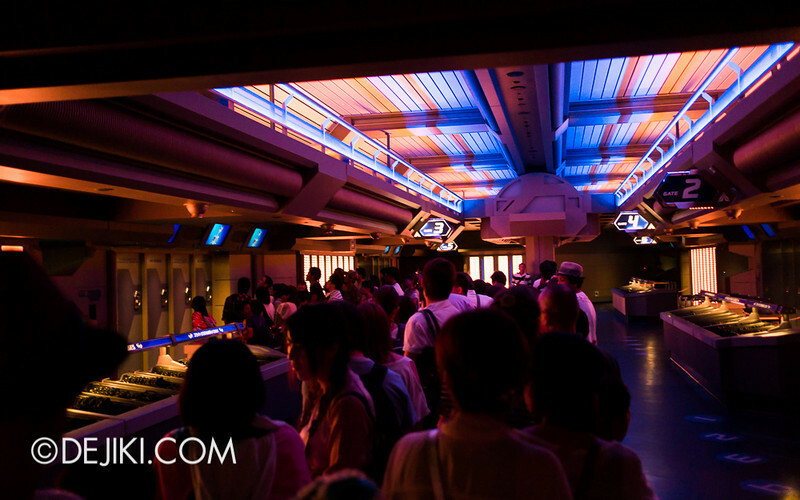 Star Tours uses 3D glasses that filters light wavelengths (Infitec, Dolby3D) which works perfectly well in a motion simulator environment. 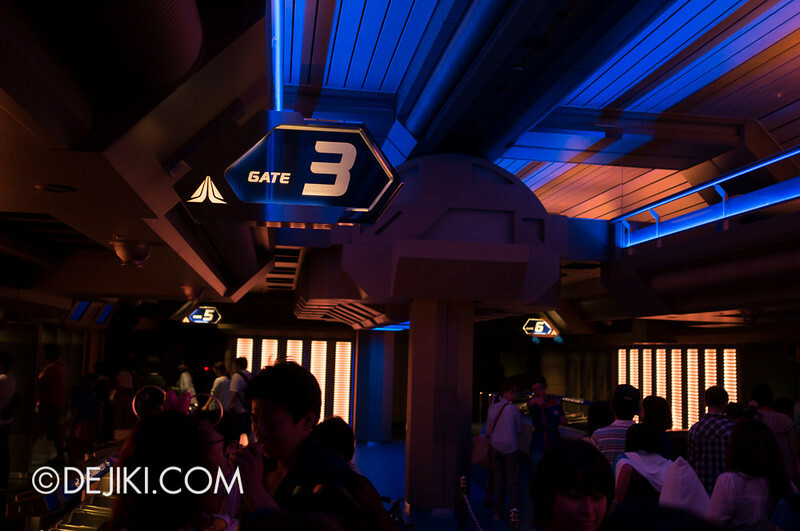 The 3D display is incredibly sharp and pretty much triumphs rides that uses polarising glasses, such as Transformers: The Ride (Singapore). I couldn’t take pictures of the ride vehicle or ride experience. 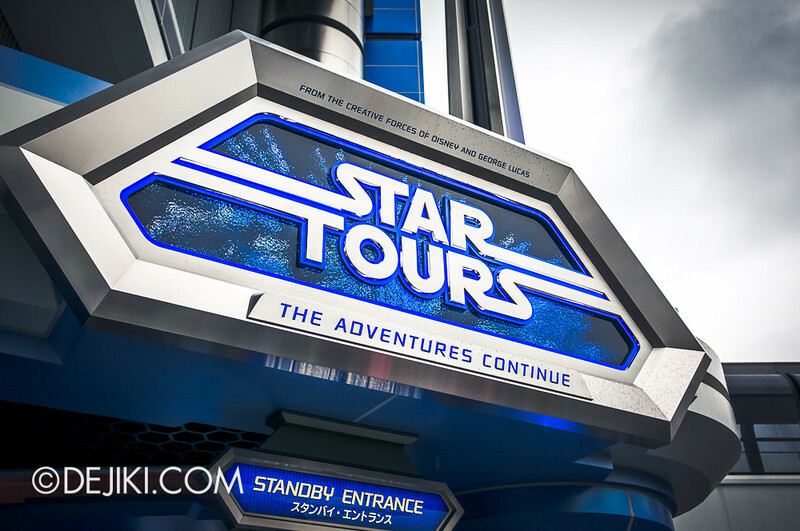 I would just say that Star Tours is one of the best 3D-cinema motion simulator rides I’ve ever experienced – surpassing Transformers: The Ride in Singapore (which isn’t really a motion simulator). 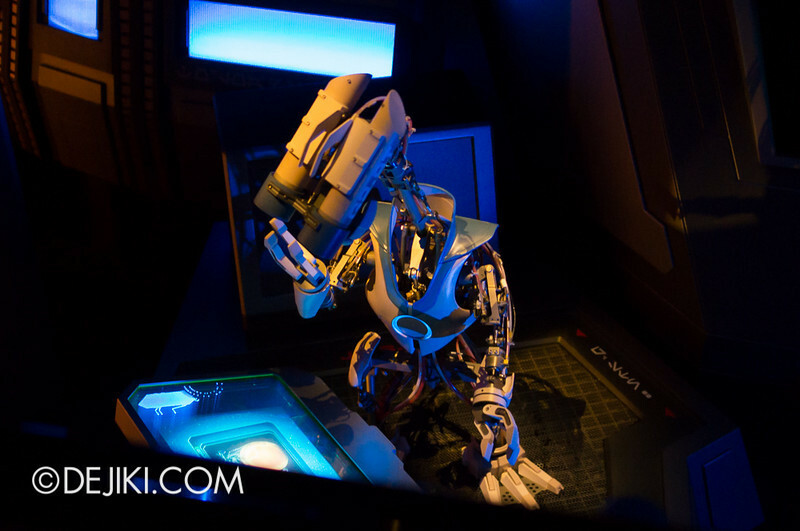 Despite not moving around physical sets like Transformers, the visuals at Star Tours were more realistic. 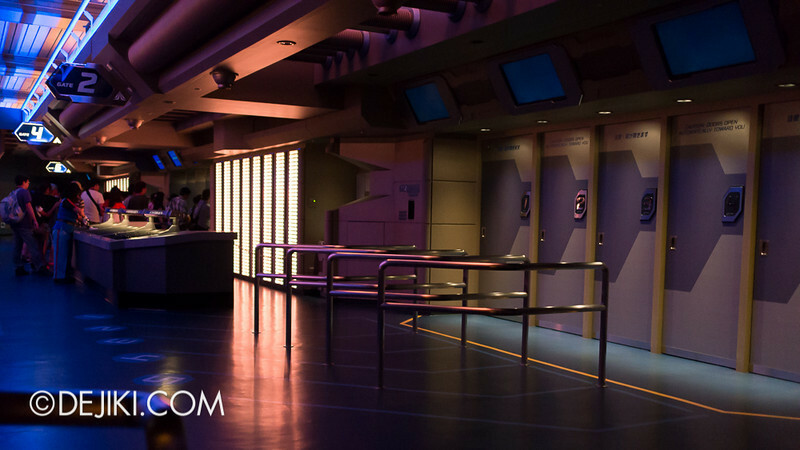 The story, is of course, very polished and believable – the entire pre-show is structured to feel like guests are tourists going on a tour. Safety guidelines are presented in the most amusing way, in the style of in-flight safety videos (it even features Wookies). 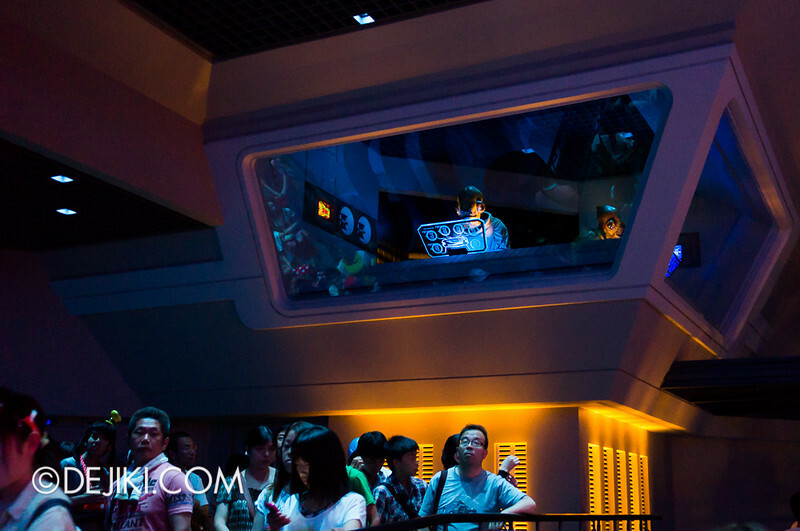 The ride also takes advantage of the screens in ride vehicles – A LOT. 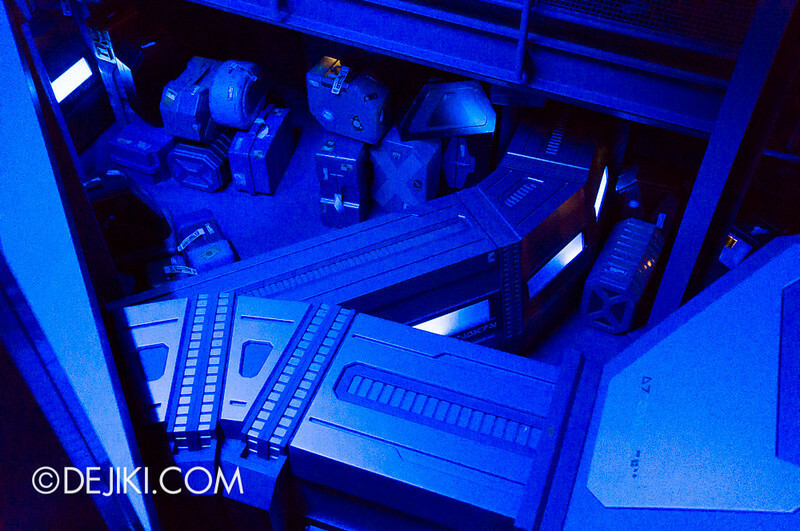 Since it’s just visuals and not physical sets, the ride chooses around different scenes throughout the adventure (Something which I wonder, why Transformers: The Ride did not make full use of). 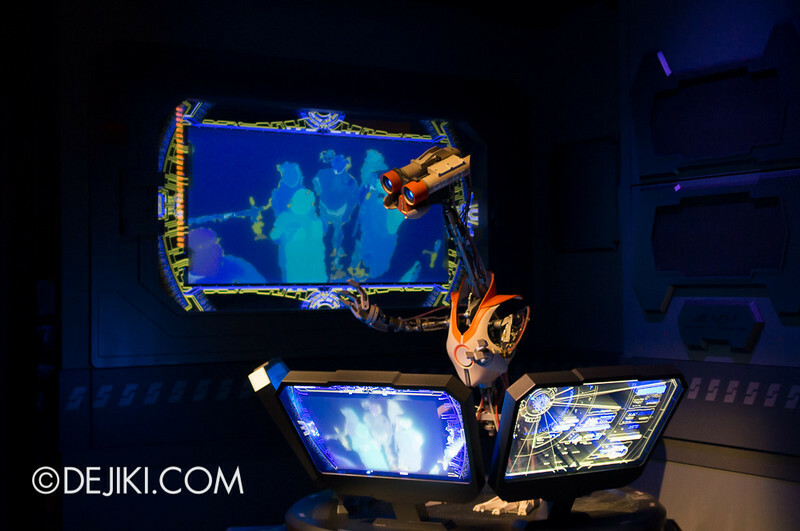 Guests can become part of the ride too. Hidden cameras scattered around the vehicle allows faces to be captured and used in the ride. 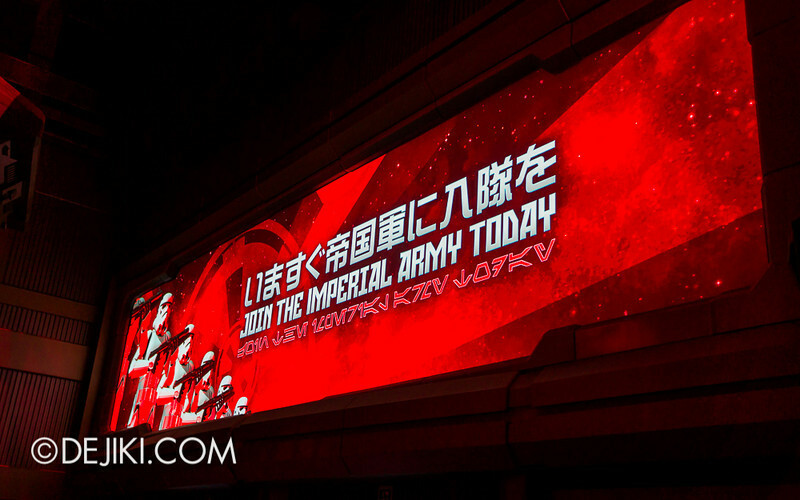 Cast members will select (at random or for some reason) a guest’s face to become the Rebel Spy character. I was chosen to be the Spy… Probably because I was taking A LOT of photos everywhere and the cast member noticed. 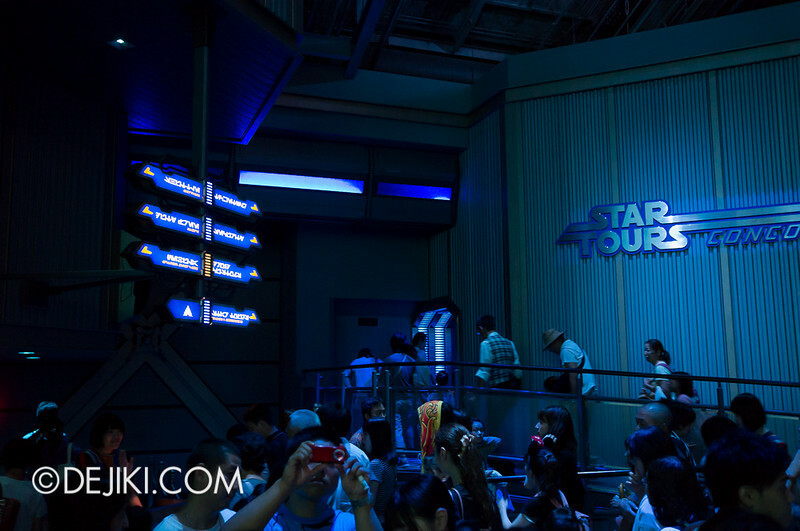 With all these features, Star Tours is an exhilarating attraction that motivates guests to return for a different adventure. I had to go on this ride three times. I love your photos. 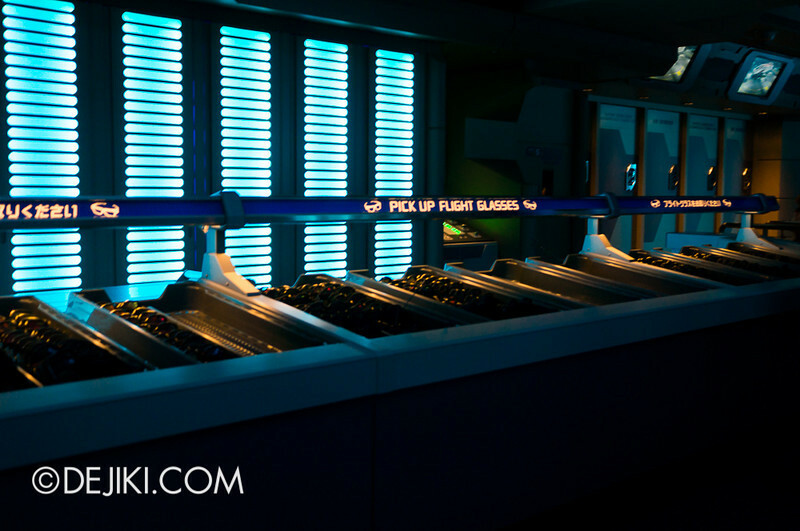 I enjoy the queue more than the ride. 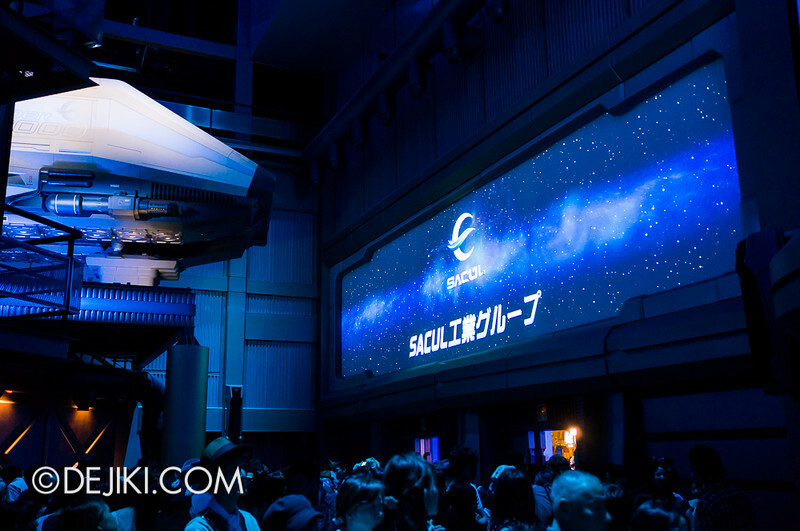 Simply because i can easily take role as a passenger at the space terminal. However, the ride makes me headache and confuse. I try 3 times and it gives me same feeling. I have to sit for a while to be ok after riding. So I decide not to ride it again now. 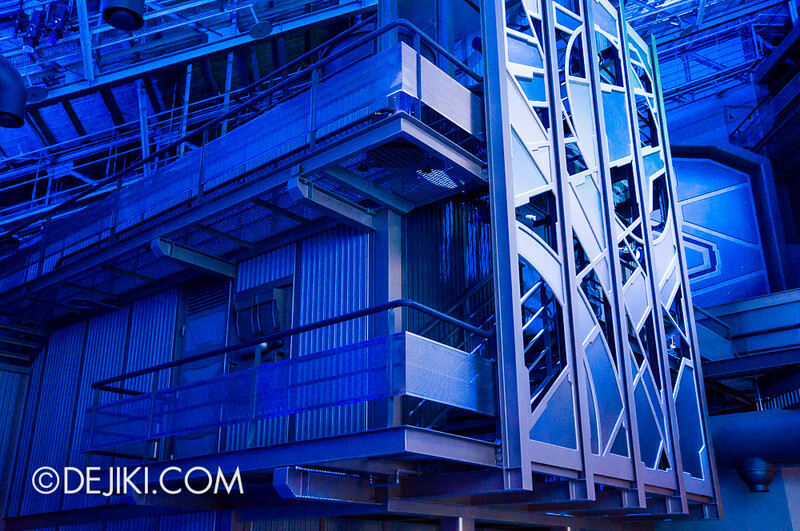 The 3D is amazing and the quality of definition is perfect. However it does not deliver the feeling that Storm Rider does. 54 combinations what! 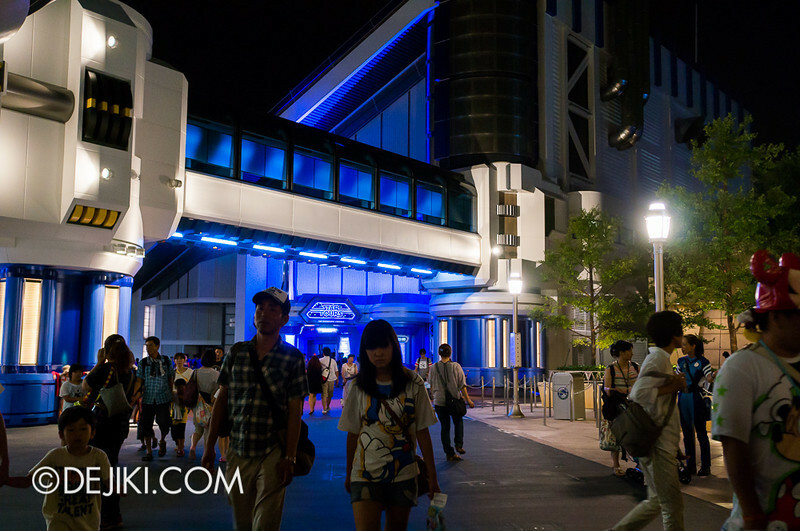 It’s awesome…love it coz it has the shortest waits during our past 2 visits lol. Also, characters came to interact with the crowd while waiting in line 🙂 very cool! 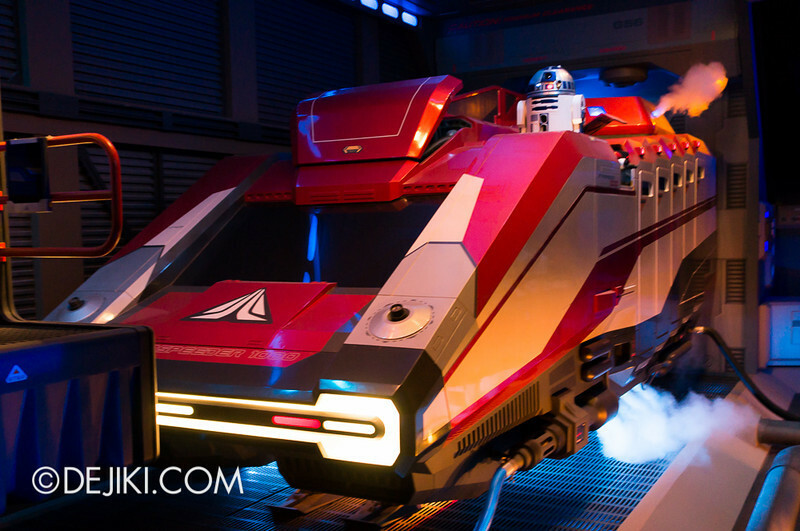 I brought my 3 year old daughter and 4 year old son on Star Tours. It was way too intense for them. Right off the bat we were being attacked. Then we jumped into hyperspace and crashed on a snowcapped mountain on Hoth, then fell into a snowy canyon and slid down. More crashing, being shot at, shooting. Very realistic with the motion simulator and video screen. My daughter was shaking and started to cry. My son was really upset. I’m sure some small children can handle it. But really seemed suitable for 8 and up to me. There was no warning from signage or staff either.